New developments in the world economy have made it more difficult for pundits to predict the value of stocks. It appears that the world economy has grown more intricate than ever, and the parameters used to determine predictions have changed a great deal. 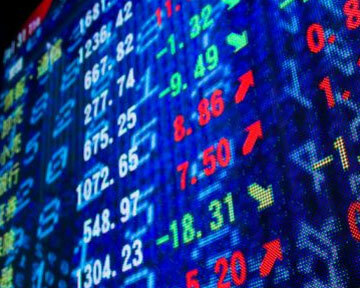 Although different Stock markets behave differently depending on the economic situation in the respective country, there is always a relationship between the behaviour of these markets. The world is a global village and anything that happens in one market affects the other markets one way or the other. Your Personal Financial Mentor gives you an insight into the major Stock markets. We will also look at the relationship between these markets. First of all, company stocks perform in accordance with the actual performance of the company within that particular country. For example, If Apple Inc announces that they have launched a new iphone, the anticipation will cause the stocks to rise, and when the new product sells big time, the stocks might rise even further in value. Likewise if there is a scandal involving a given company, or the company is just performing poorly for some reason or other, it follows that the company stocks will start to fall in value. The Stock market is all about investor confidence. The value of any stock or currency is determined by the perceived investor confidence at that time. If the value reduces, then it means investors have either lost confidence totally, or they have become doubtful about the worth of their investment in that stock. Stock markets also have a lot to do with the economic situation in that particular country. For example, if the American economy is doing great, it follows that American stocks will perform well in most major Stock markets in the world. Companies always stand to reap from the economic performance of their countries because investors always relate the two. The interesting thing about Stock markets is that bad news sell just as fast as good news. Whenever there is some bad news about a company or even a country, it always has an adverse effect on the value of the stocks. Some news may be either positive or negative depending on how they will be interpreted by investors. For example, news of a merger between two companies may be good news for investors in one of the companies, but bad news for the shareholders in the other company.